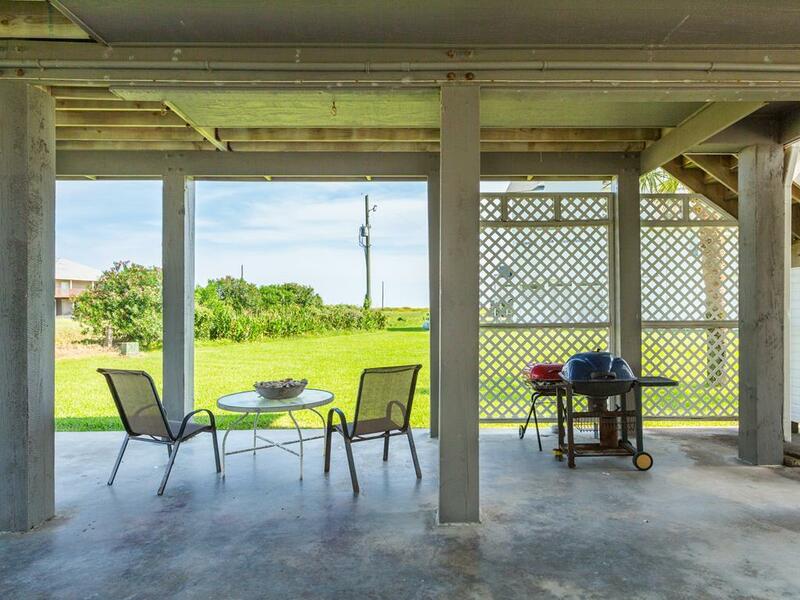 2 decks, single-level, pet friendly & a long Gulf view! 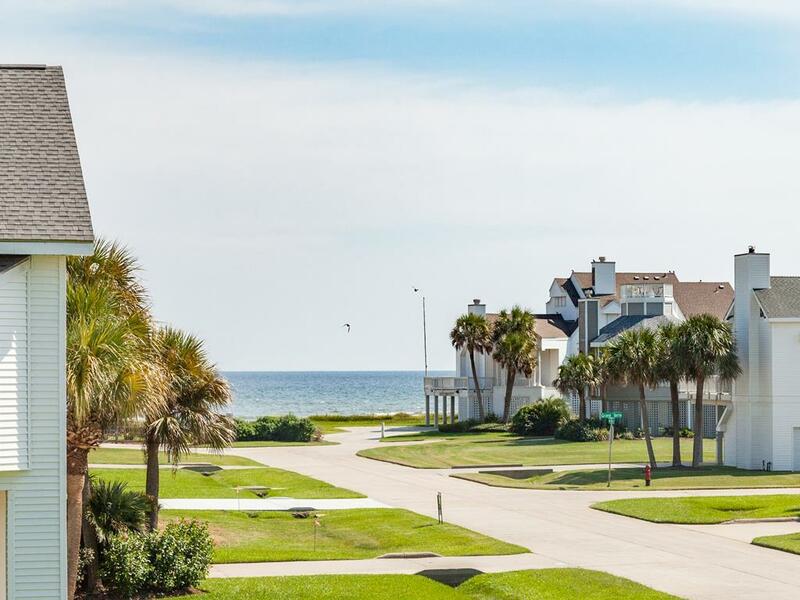 Ideal for couples or families, this Galveston vacation home boasts high ceilings, wood floors, and windows that let in plenty of natural light. 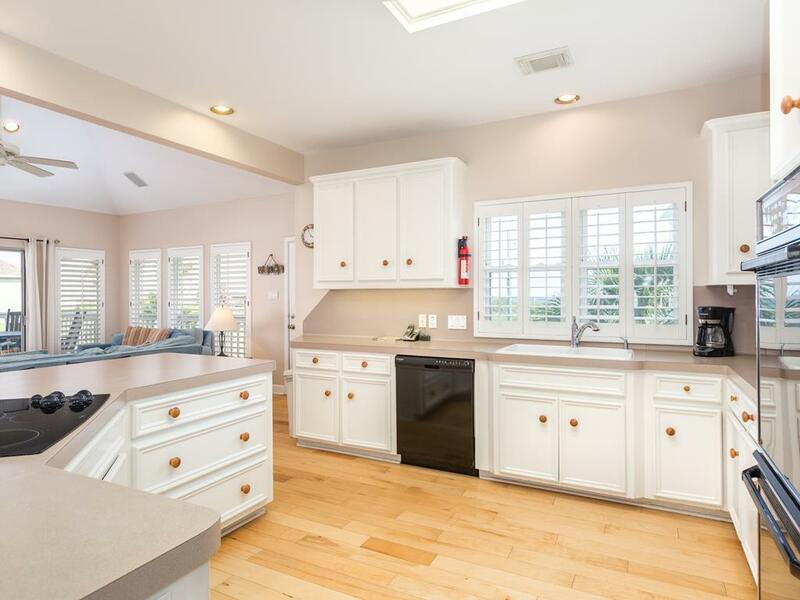 The kitchen is centrally located in the open floor plan so the cooks won't miss any of the action. When you're ready to get some sand between your toes, the beach is only a short stroll away! Very comfortable and cozy. Great covered deck and view of the water. The mosquitos were the worst ever experienced!!!! Lots of rain that week. The spiders looked healthy also!!! Wonderful property with nice view. Layout of the house is so nice. Would be great to have furniture downstairs-picnic table....while grilling. 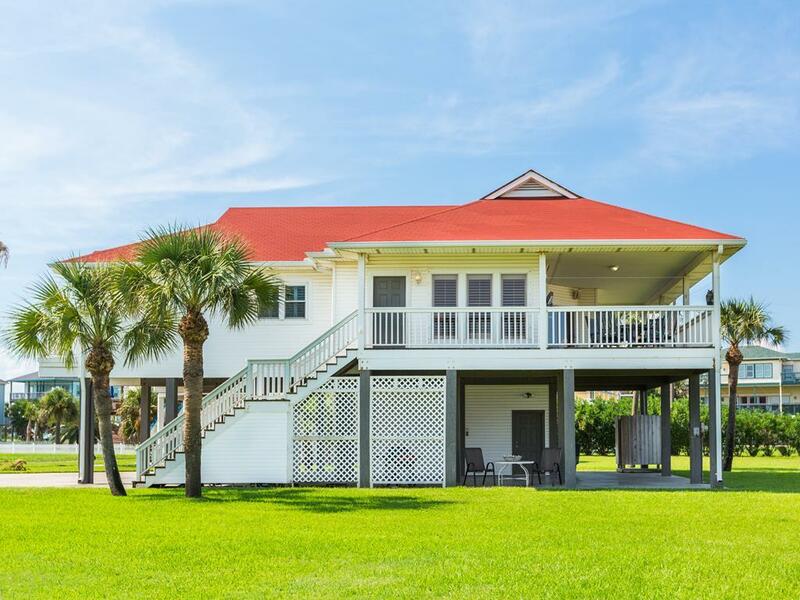 Good house in a great location for beach access. We enjoyed it and would book this house again! Great view with a nice, short walk to the beach. Quiet neighborhood with beautiful landscaping. Loved the multiple balconies. Great property. 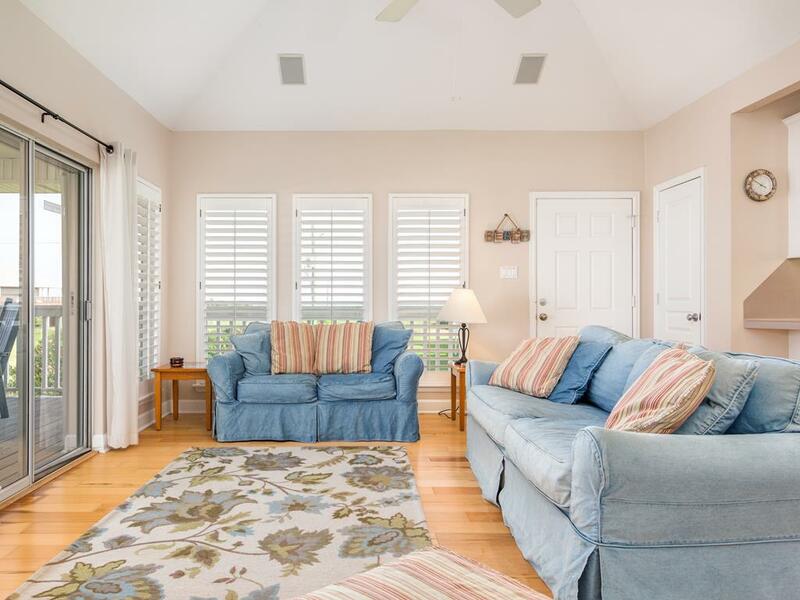 Set far enough back from the beach to be quiet and out of the way, but also close enough to see the ocean with unobstructed views from the covered deck. It was also so nice to be on a cul-de-sac with no thru traffic. Stilted Pleasure lives up to it's name! This beach house is amazing. 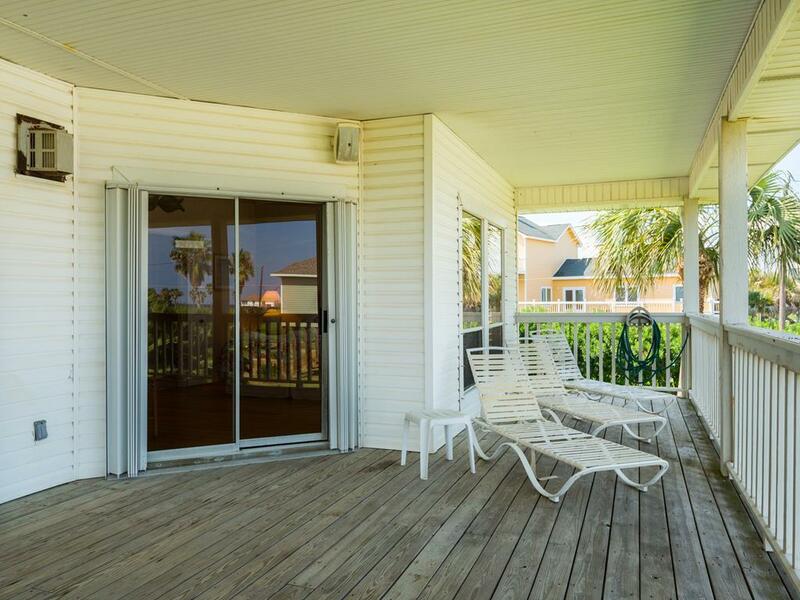 It's just a short walk to the beach and has an incredible view from the covered back deck. It's not right on the beach, but it's close enough that you can see and hear the ocean hitting the beach. 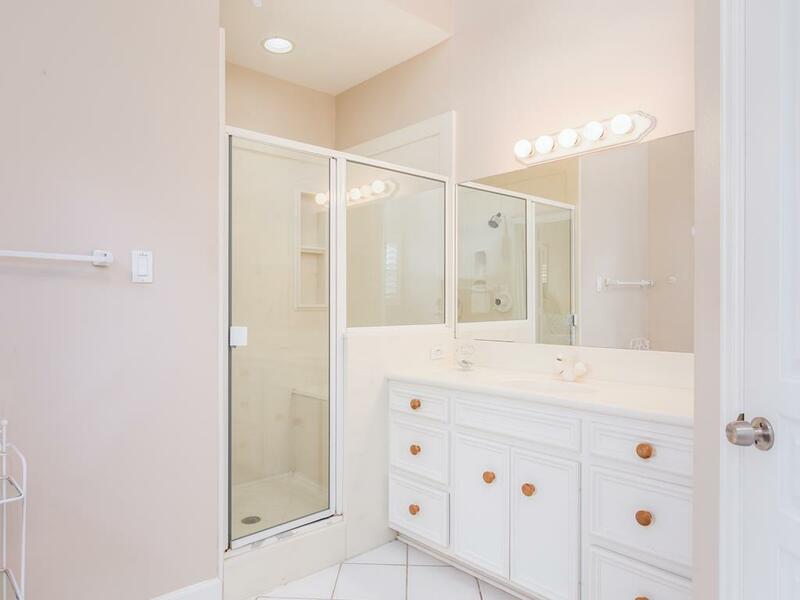 This house is extremely clean and well kept. We really like that it's in the Pirates Beach subdivision. All of the houses here are nice and well kept unlike some of the other beach houses in other areas. Although there are technically 2 decks, the one on the front of the house is really not usable as it is not deep enough for you to sit in a chair without having your knees against the railing. It's really only got enough room to stand comfortably to enjoy the view. It doesn't really matter as the back deck is huge and the outdoor table and chairs are of surprisingly high quality and comfort. This is where you'll spend most of your time enjoying the awesome view and great ocean breeze! If you like to sleep in, I have a warning for the master bedroom. It has a skylight that lights up the entire room as soon as the sun rises in the morning. Be prepared for a "rude" awakening each day. You won't be taking a knap in this room during the day as it feels like your under a bright spotlight. If you're an early riser and don't take knaps, it shouldn't be a problem. All in all, one of the nicest beach houses I have ever stayed in! The kitchen is not as well equipped as it was from our last stay in 2015. Only one cutting board and no paring knife, peeler, or lemon squeezer. Also, the grill scrubber has a broken handle and the charcoal chimney has no handle. We always keep kitchen & household items on-hand at the office. Please don't hesitate to give us a call if there is anything you need - we will be happy to take care of it! 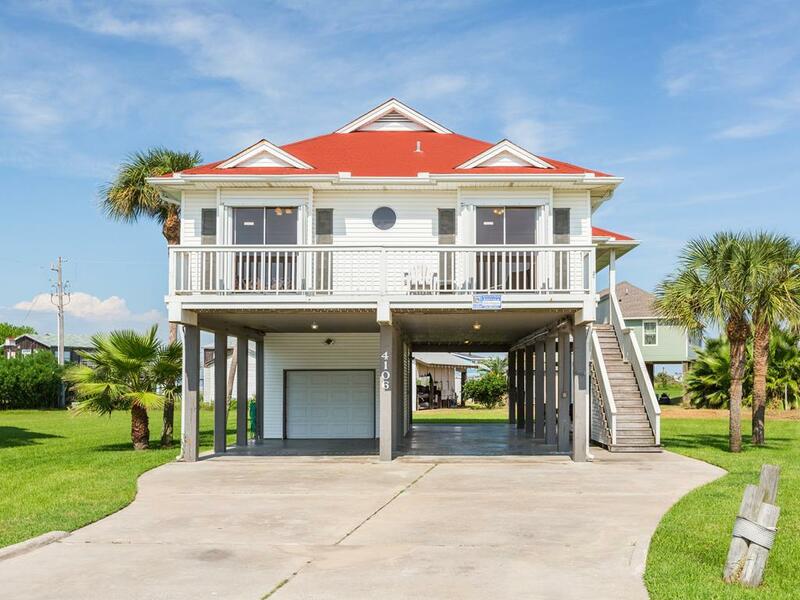 Stilted Pleasure was perfect for our stay in Galveston! 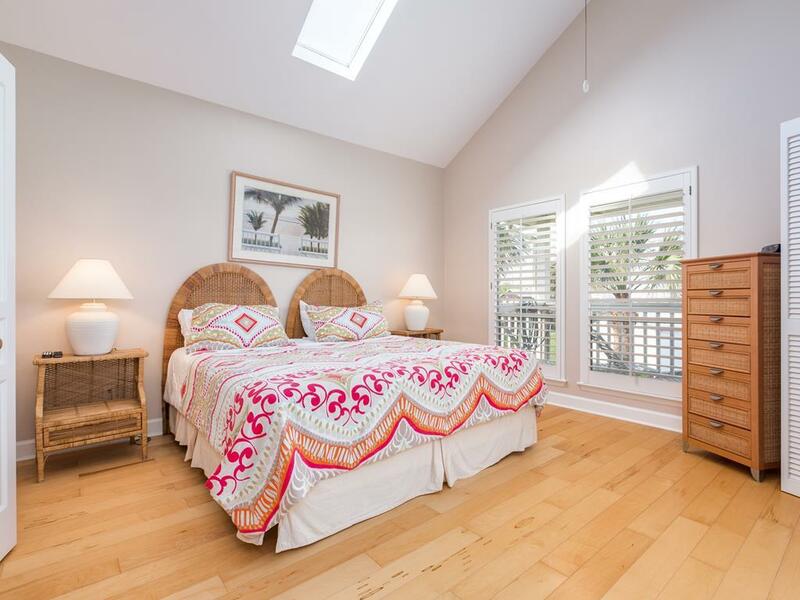 Very comfortable and a short walk to the beach. We were visiting for business and this house provided exactly what we needed--not too far "out west", not too large, and, the best feature, pet-friendly! We could watch the sunrise over the ocean and hear it's roar from the deck. The most relaxing "business trip" we've ever had! It was okay. The beds are old and not comfortable at all. Sheets are rough. Hello Horkey Family - We are sorry to hear the linens were not comfortable for your family! If there is ever anything we can do during your stay, please don't hesitate to call the office. We would love to help! This is very nice, clean and quiet "dog " friendly house with a great view of the gulf. Always enjoy our stay in this home. Since there are just the two of us and our dog there was more than adequate space in the house. It was also very bright and cheery. We very much enjoyed sitting on the front deck in the afternoon. Loved the outside deck! Pet friendly! Easy walk to beach! 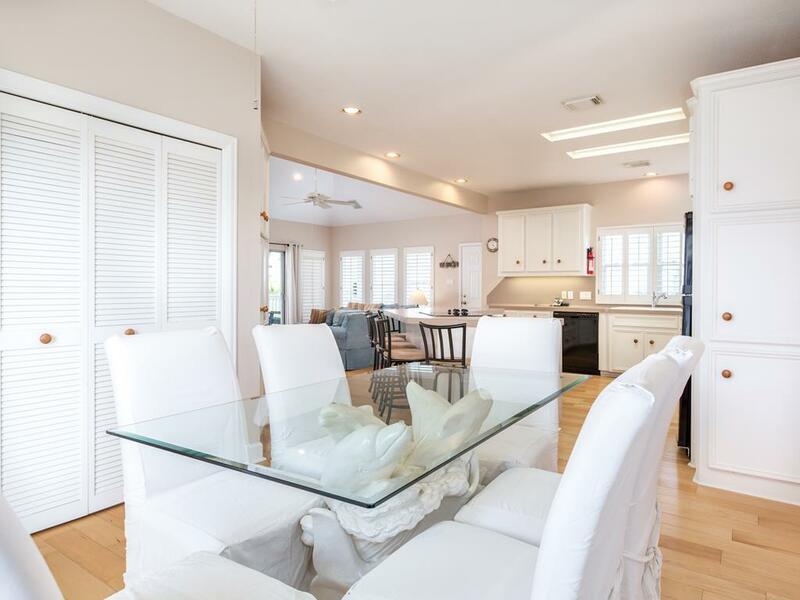 Quiet and very clean beach house, kitchen very well equipped. Our 5th year staying here and just love our stay every time. Love, love, loved this place! We stayed for 5 days over the Thanksgiving holiday and we thoroughly enjoyed ourselves. We were a group of 5 w/2 dogs and had lots of space. The house was super clean, very well decorated and stocked with everything imaginable that we might need. The large corner patio (with outdoor sound system) had to have been our favorite spot. Great view! The staff made us feel like the most important people on the island. The neighborhood was nice and manicured and the people were so friendly. Very short distance from the beach. The neighborhood store was very well stocked and was also a pet-friendly place. Everything combined made for a wonderful vacation. Hope to come back again. Thank you Stilted Pleasure. 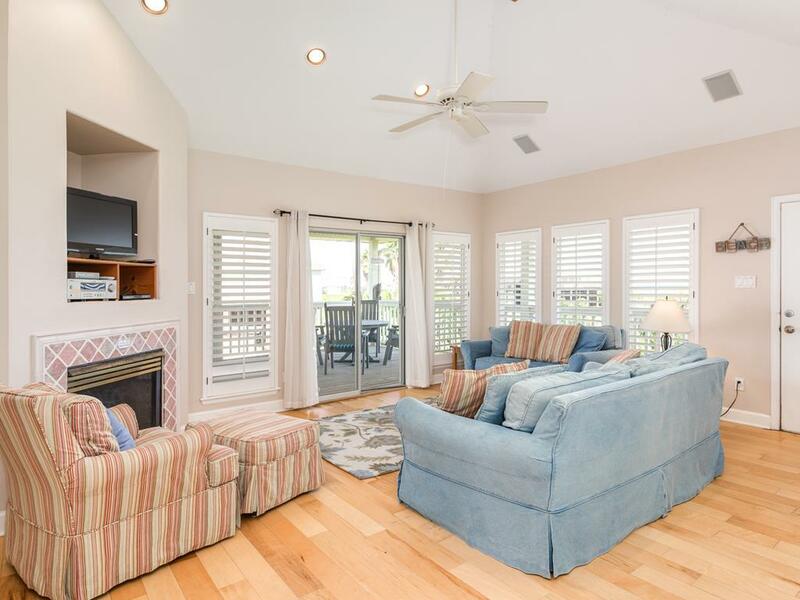 This home was quaint, conveniently located to all amenities as well as the beach and the pool. We highly recommend this place. What a great house! Stilted Pleasure surpassed my expectations from the website where I chose and did my actual reservation. The home was laid out well and the kitchen was stocked with all that was needed to make meal prep easy breezy! The view was spectacular and the covered porch/deck was each family member's retreat. Sand and Sea dealt immediately with any issues and the entire week was a great success. There were 6 of us and we had entry of room in the home. My 88 yr old mother was with us and the stairs were an issue but she managed with our help. A lift/elevator would have been the only thing that would have made life easier. Take your binoculars and a rope. The binoculars to watch the Gulf and a rope to haul stuff up and down over the balcony so that the trips up and down to unload/load are made easier. We enjoyed our week ay Stilted Pleasure. 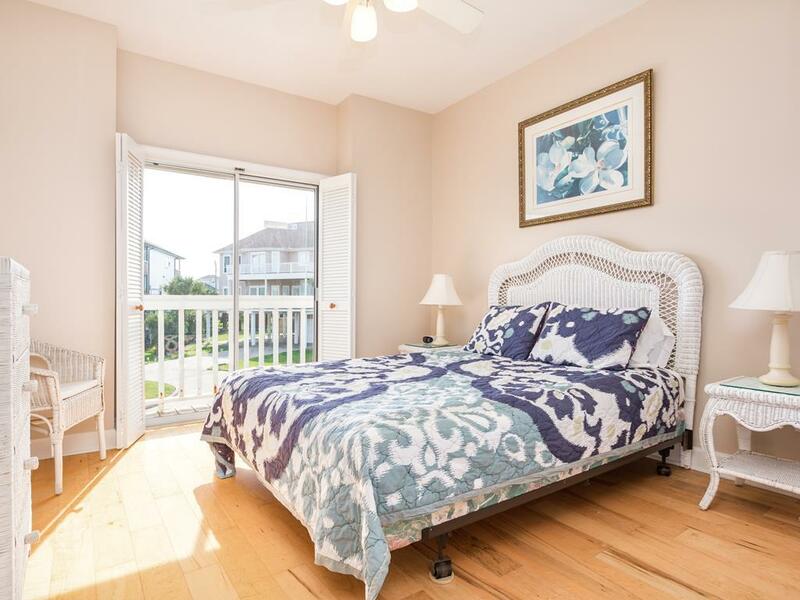 It has a great open floor plan, views of the ocean, and is a short walk to the beach. The neighborhood is quiet so our stay was restful. We would rent this property again. Very nice layout in home. Plenty of room. Beautiful gulf view. 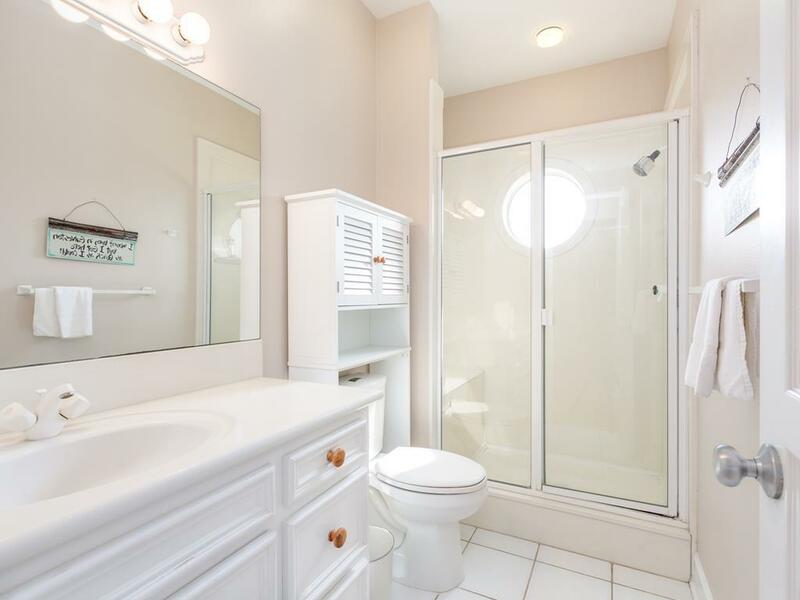 Short walking distance to beach. This was our 4th stay at Stilted Pleasure and it is always so relaxing. Close enough to the beach, quiet and very clean. Beautiful cottage. Gorgeous view of Gulf. Short walk to beach. Fully outfitted for cooking meals.you can,t go wrong if you choose this house. Very comfortable, and clean. Well maintained, it was obvious that this is someone's vacation home not just a rental business. 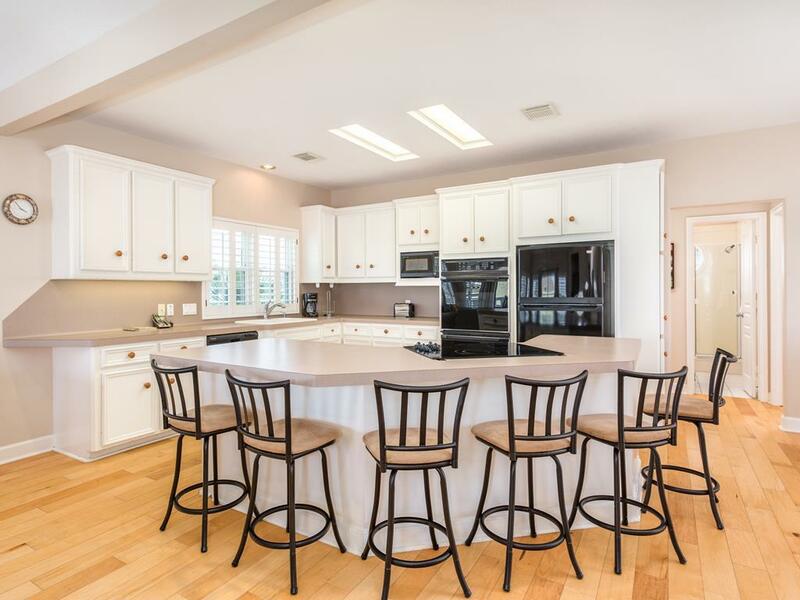 Open floor plan for a large group and a well equipped kitchen. Excellent appliances for cooking_double oven. Convenient walk and beautiful view. We were very pleased. Stilted Pleasure is a welcoming surprise! Very nice & comfortable interior. Would definitely stay at this particular house again & again!! This was a relaxing place to stay and had all the things necessary to make our vacation enjoyable. The kitchen was well stocked and spacious and the rooms were very nice. This is the second time in 3 years that we have rented this house. The deck on this house is great. Beautiful view of the gulf. The walk to the beach is a short one. Would recommend bringing a wagon or renting a golf cart if you have lots of stuff to carry to the beach. As always, we had a wonderful stay. Pirates Beach is our favorite, as is Stilted Pleasure. NOTE: both bathrooms are shower stalls only - so no tubs for bathing small infants/children. Otherwise it's a great property! We enjoyed the place very much! Everything you needed was there and the house was perfect for our weekend stay. The sunrises were spectacular and we will be back next year! Thanks for a wonderful time!! This was our fifth summer at Stilted Pleasure. The back porch is our sanctuary. I wish we could bottle up the breeze and bring it back to Houston. Stilted Pleasure was a great propperty to stay at. The house was very comfortable and well air conditioned. 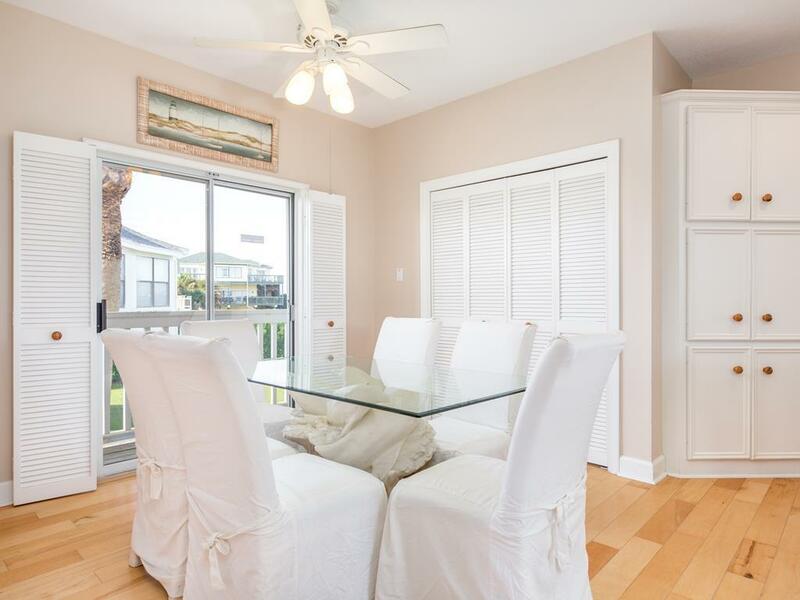 The location is great and you can see the beach from the kitchen, living room and master bedroom. We loved coffee in the morning looking at at the surf. We would stay at this property again it! Stilted Pleasure was perfect for our family! We have 5 children plus a dog and everyone was comfortable in the house. The beach is close so the kids could go back and forth from the house to the beach easily. We would definitely stay in Stilted Pleasure again! Stilted Pleasure was really, really a pleasure! We enjoyed every moment and hope to return again next year if not sooner! 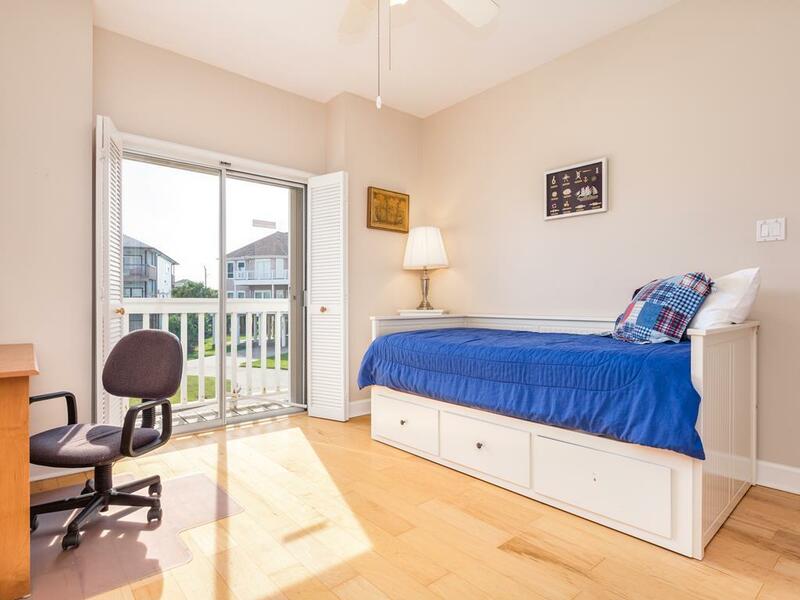 Great location, great view of ocean, nice to have gate to fence in dogs on upper deck. Very comfortable home. Spent a lot of time on the huge covered deck. Great view of the Gulf. Short walk to the beach. 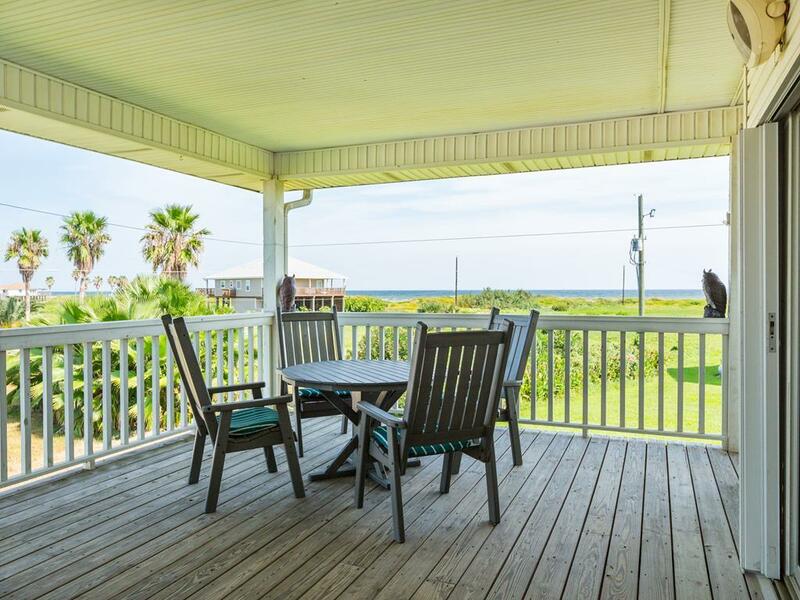 We thoroughly enjoyed the large deck from which you have a great view of the Gulf. It is also cooled by wonderful southerly breezes. The beach is just a short walk away. 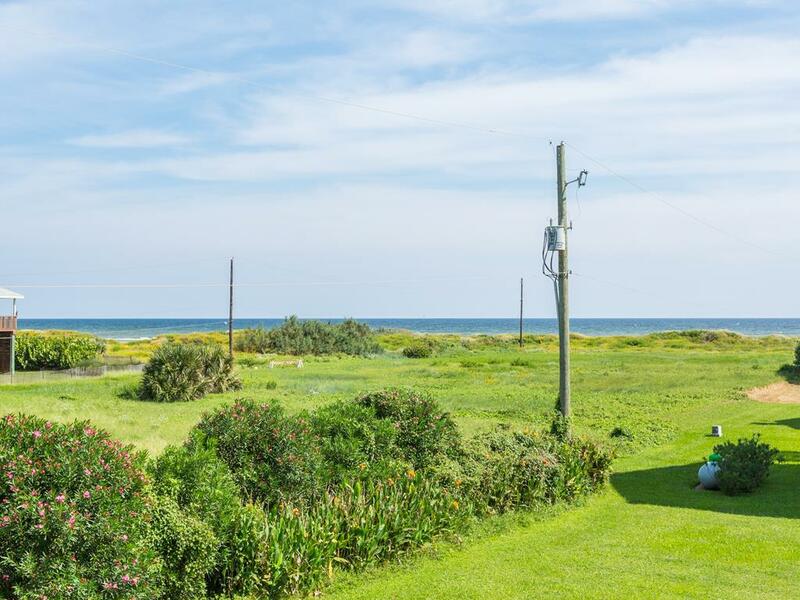 The vacant lot to the south and the way the house is situated on the lot gives you a sense of privacy that many in Pirate's Beach don't have. The house is attractive and at the same time very comfortable. 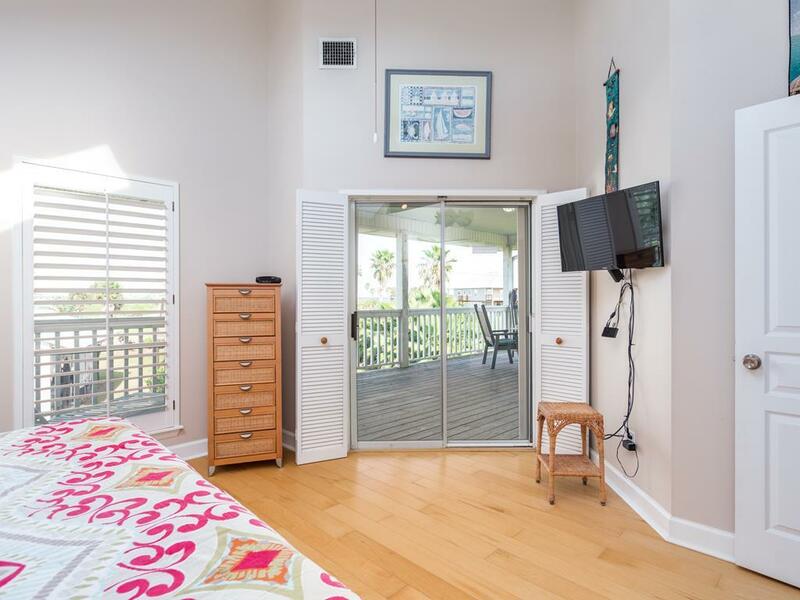 Downstairs has plenty of room and Gulf breezes. My family has stayed in Stilted Pleasure 3 summers in a row, with a 4th stay booked for 2011. The privacy and view from the covered back porch are a big plus. Awesome kitchen, comfy beds, new fridge, Pirates Beach location. And my little dog loves it too! It doesn't get much better than this.